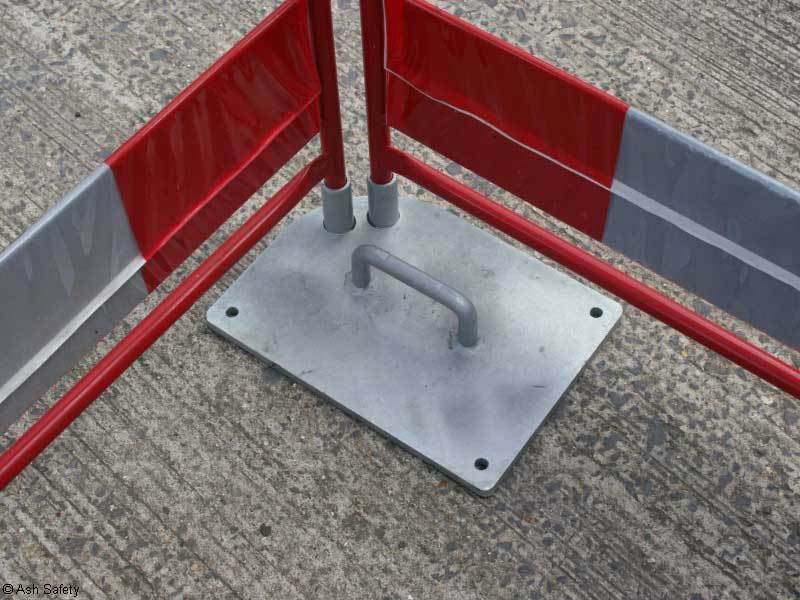 The Gate Weight© designed by Ashfield Products Ltd allows Safe Gate Barriers to be left unattended. The units allow full movement for entry whilst making a very strong base that can also be staked down for increased rigidity. Weighing only 5.9 kgs each the Gate Weight© design is made so as not to cause obstruction or trip hazards to pedestrians. A must for small works excavations on pathways. Standard units are galvanised but these can be powder coated in your Company colour for minimum orders of 50. 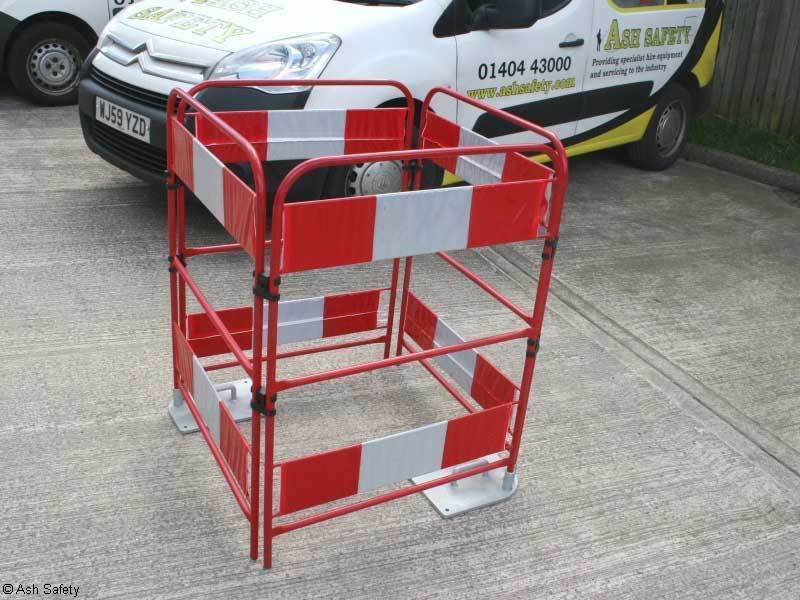 The Gate Weight© can only be used in association with the Safe Gate Barriers. Two gate weights should be used as a minimum per rectangular frame.